To monitor, or not to monitor? 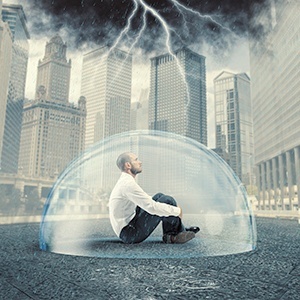 It is widely accepted by corporate social media and risk managers that major brand damage can occur via a social channel, but real harm can also come from employees’ social media accounts. For regulated companies, this is certainly true — in fact, they are legally required to monitor employee social media. But most companies should consider monitoring their employees key social accounts as a corporate risk and brand protection discipline. Part of the corporate risk assessment (conducted by the risk team) should include an analysis of the risk profile presented by employee social media and whether a monitoring program is an important addition. If the risk profile is low, a monitoring program can be bypassed, if it is medium or high (such as a company that has a strong M&A practice or a large intellectual property portfolio), then this practice should be adopted. The monitoring program could focus on key employee types that are employed in a higher risk area, and not all employees. This certainly makes sense for very large corporations. However, every company should have a general employee social media policy that covers all employees. This article highlights examples for the US market, but the UK, Canada, and Australia have very similar laws and regulatory bodies. Before you dive head first into designing a monitoring program, understand your national laws first, and then adapt the information to suit your laws and regulations. For example, Germany has a strict law about not monitoring general employee social media, but a formalized volunteer employee advocacy program may be approved. While some employees may resent the idea of having their social media activities monitored, much of the resentment can be handled with clear social media policies and training (outlined in your social media governance plan). It is important that they understand that the company is not interested in hindering their freedom of speech – in law or in spirit. As affirmed by the courts, employers have both a right and a responsibility to monitor how employees use social media, as long as your corporate social media policy follows the NLRB strict rules about preserving the employee’s rights. While this does not mean that employers can explicitly or implicitly demand that employees post positive brand messages on their personal accounts, it does mean they have an obligation to shareholders, stockholders, their workforce as a whole, and even their customer community to prevent inappropriate content from being disseminated. And in a social media governance plan context, “inappropriate” does not necessarily mean criticisms, inappropriate language, threats, and so on; it can also mean sharing (accidently or intentionally) confidential or sensitive information regarding products, plans, mergers, customers, and so on. Missing legal information on a profile page for employees in regulated industries can lead to regulatory fines. Well-meaning employees who share confidential or sensitive information can present significant problems for the company resulting in financial loss, regulatory complaints and even lawsuits. Ex-employees that still associate with your brand stating they are a “current employee” can result in corporate fines for a regulated company. Employees who use their personal accounts for work but then misrepresent the brand values (such as aggressive action or bullying to a customer) tarnishes your brand image. If you allow use of personal accounts for business, then you really must monitor these accounts! Corporate brands are valuable assets and reputation damage can take years to repair. Corporations need to have a sound, sensible and compliant social media governance plan that includes a specific focus on why and how employees’ social media will be monitored. This plan must contain the appropriate social media policies for each target group (e.g. general employees, employee advocates, social media team, etc.). The monitoring program must be regularly audited and updated to ensure that it is effective and in alignment with prevailing laws, regulations and best practices. To learn more about monitoring employee social media in your organization, and to get a deeper look at how to manage a large employee advocacy program – contact the Brandle team today. If you’re looking for more information on what a social media governance plan should look like, download our eBook “The Social Media Governance Plan” today. You’ll read about the top corporate risk factors that keep CEOs awake at night, and why social media is an inroad to trigger these risks. Plus we’ll give you the 12 steps it takes to create a solid Social Media Governance Plan for your company.